"Hot, Live music to make your occasion truly special!" 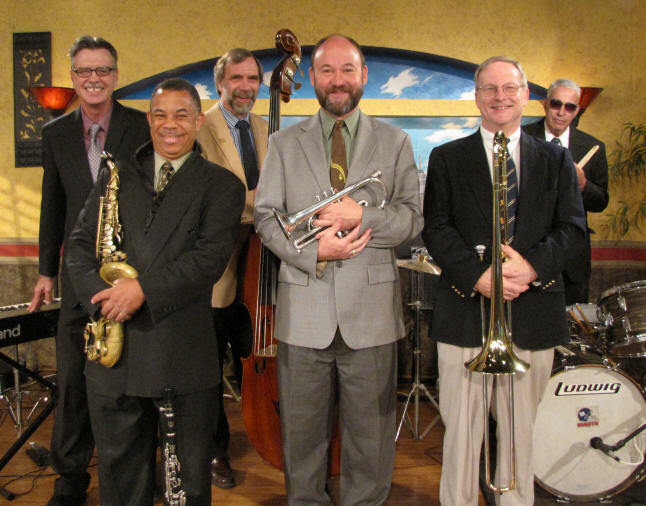 The Mission City Hot Rhythm Cats specialize in early, classic jazz, exemplified by many of the well-known masters such as Louis Armstrong, Ferdinand "Jelly Roll" Morton, Jack Teagarden, Bix Beiderbecke and Joe "King" Oliver. We also include a good helping of Irving Berlin, Hoagy Carmichael, Cole Porter and Jerome Kern, along with many other composers of timeless standards. In addition, the Mission City Hot Rhythm Cats maintains a repertoire of material from the big band/swing era of the 1930's and 1940's. Click here to read a web interview with our trombonist, Mike Pittsley. Our website is updated frequently, so please add us to your favorites and check back with us often.